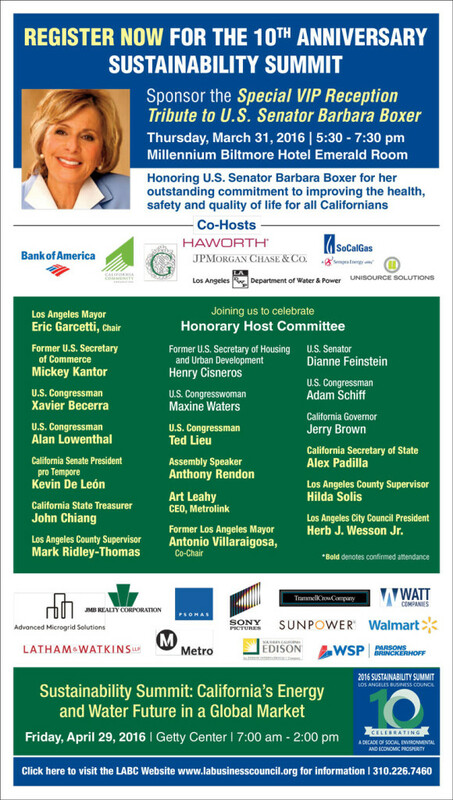 APA Los Angeles is proud to join LABC as a cooperating organization for their 10th Anniversary Sustainability Summit on April 29, and VIP Tribute to U.S. Senator Barbara Boxer on March 31. See flyer below for more information and register with LABC.